If you read my post on homemade chocolate ice cream you’ll know that I picked up a $70.00 ice cream maker at the thrift store for $3.00 (SCORE!). So I’ve been browsing around for ice cream recipes, but my youngest son, Dominic, really wanted me to try good ole vanilla. Heat milk until small bubbles begin to appear; stir in sugar and salt. Stir in some of the hot mixture into the beaten eggs and mix well. 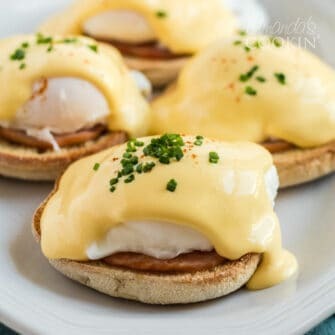 Slowly stir eggs into pan and cook over low heat, stirring for about 2 minutes. Do not boil. Stir in cream and let mixture cool; stir in vanilla. Freeze in ice cream machine according to directions. wow..$ 3 for something tht good..ice cream maker…lucky gal! btw although i am down with a cold..wud still want to eat ur ice-cream. 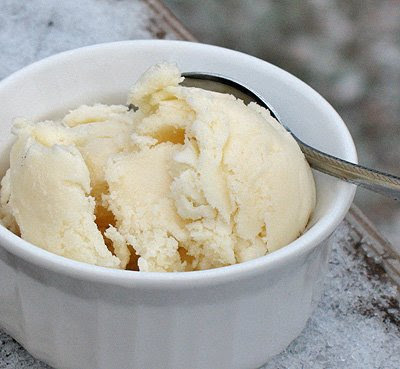 Amanda this looks so good, vanilla is my favorite flavor, you can do so much with it! 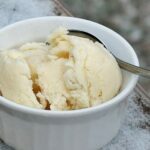 Homemade vanilla is the best and your gorgeous photos have me craving some, even in this freezing weather. What a fantastic thrift store find! Yummy! You have an award on my blog. Score indeed! Both with your purchase and with these two yummo ice cream recipes! Congrats on your ice cream maker find! I would have done exactly what you did, bought it as quick as I could. I also like how you took your photos in the snowy outside. It gives the ice cream a unique perspective. I’m so impressed. I couldn’t do that! 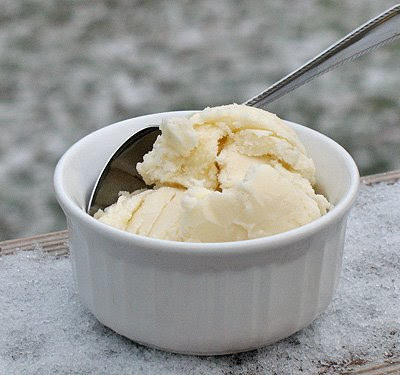 I love vanilla ice cream…I can eat that anytime of day! 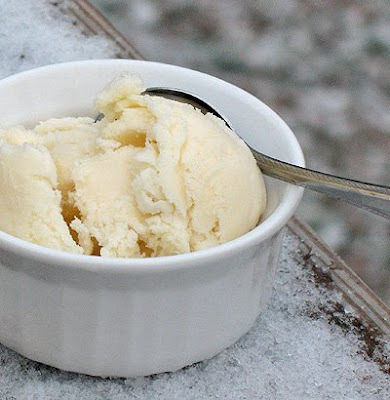 This looks great – homemade ice cream is the best!